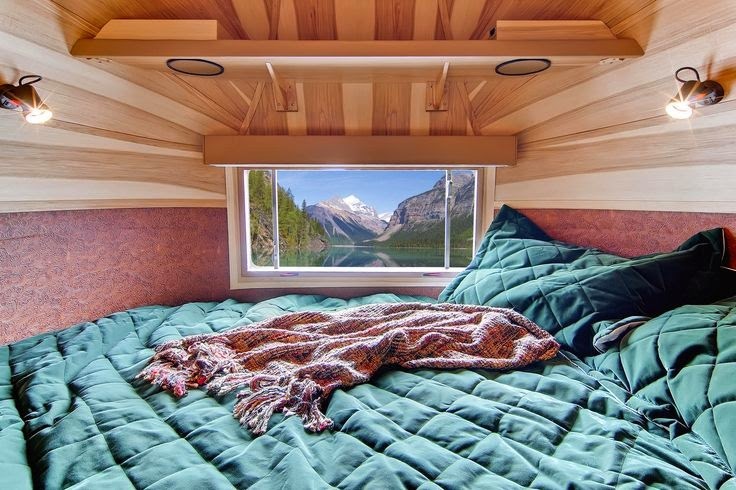 Like everyone else on the Internet, I'm obsessed with the tiny house movement. I've ogled the photos, shared the infographics, pared down all my worldly belongings, and already started the process by renting a (slightly) smaller home. A few weeks ago, after a particularly depressing night spent calculating our various debts and interest rates, Nathan and I realized the answer to both our financial woes and our desire to have the smallest footprint possible: an Airstream trailer. Exactly. Which is why we've decided to buy an old Airstream trailer with actual cash that we have actually saved up, take a few years to renovate and rebuild it, and then move into it as our permanent residence. No mortgage. The freedom to pick up and move whenever we want. And a lifestyle that forces us to cut away anything we don't absolutely need, freeing us to focus on what matters. It's the perfect solution. 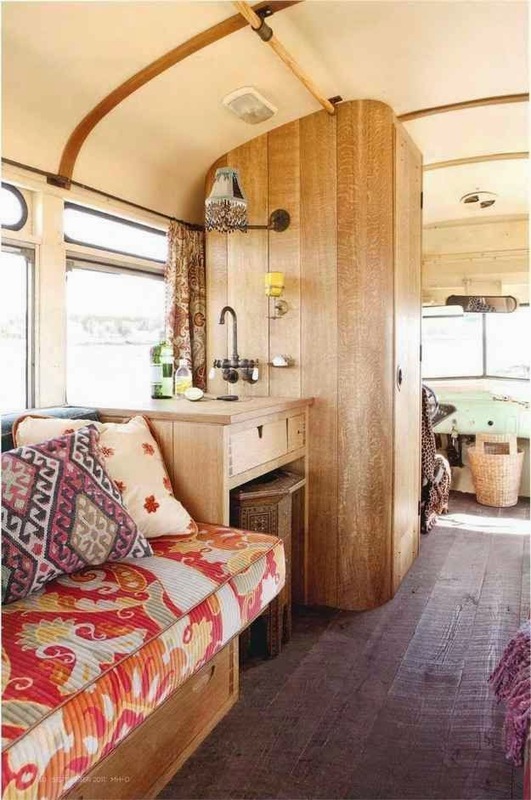 One of the reasons we've settled on an Airstream, in particular, is because we both love the curved ceilings. They're architecturally interesting, and when committing to such a small space, you better make sure you like looking at it. I also love the idea of hidden drawers for storage, like under this adorable couch. Personally, I've never understood the allure of having a giant master bedroom. I spend very little time my bedroom, and that little time is spent in the actual bed. So a room just big enough for a nest of blankets and pillows - and maybe a dog - sounds ideal. This kitchen appears to have more counter space than our current house, so that would be a pleasant adjustment. Even though I've gone minimalist in many areas of my life, my kitchenware is still a little excessive. Luckily, we have a few years before I need to make any difficult decisions. I love all the different kinds of wood in this one. It's probably the least "modern" of the trailers I've pinned, and I think that's why I like it. It looks so cozy! 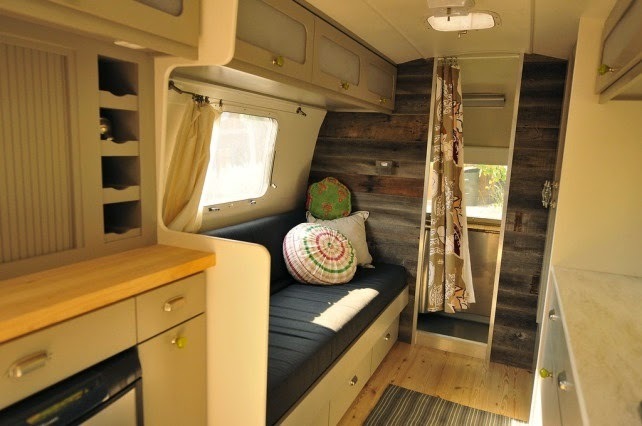 If I could just buy the Airstream above and move in right now, I would. 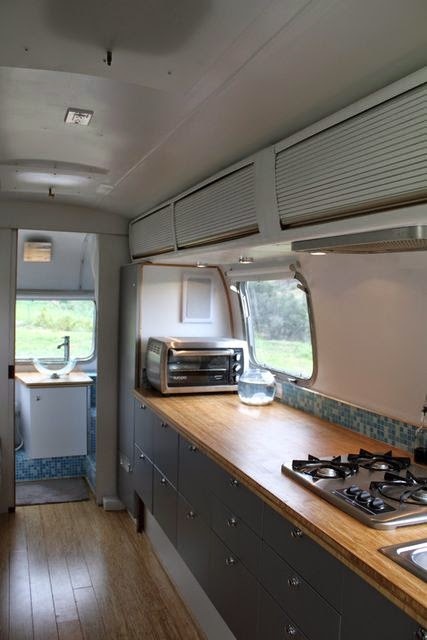 I like Airstreams that have the bedroom at one curved end, and a dining nook at the other. Couch and kitchen go in the middle. 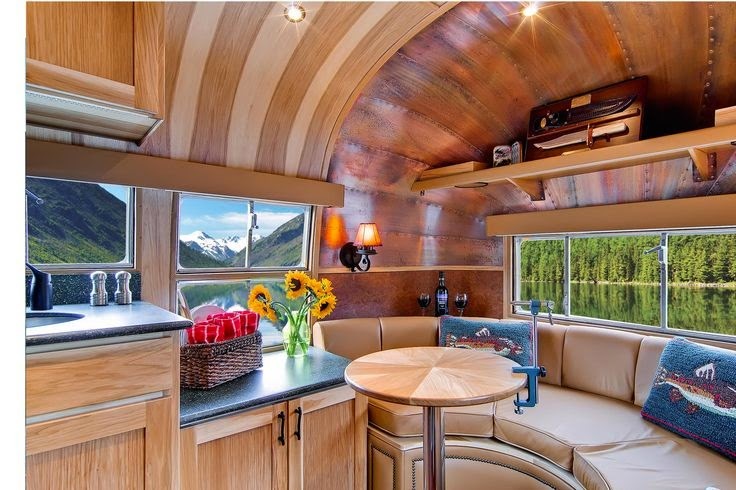 This Airstream is probably the prettiest one of all - click the photo and it will take you to a full tour, but beware: it might make you want to throw away all your treasured belongings and move into an Airstream trailer, too. That's okay with me. We can be neighbors. As I've said, this is a dream that's still a long way off (it will be at least two years before we can buy a trailer, and then who knows how long it will take us to renovate it) but having a goal, even one so far off, feels good, motivating and exciting - a far cry from how I usually feel when I think about our financial future, which is how I know it's a good choice for us. 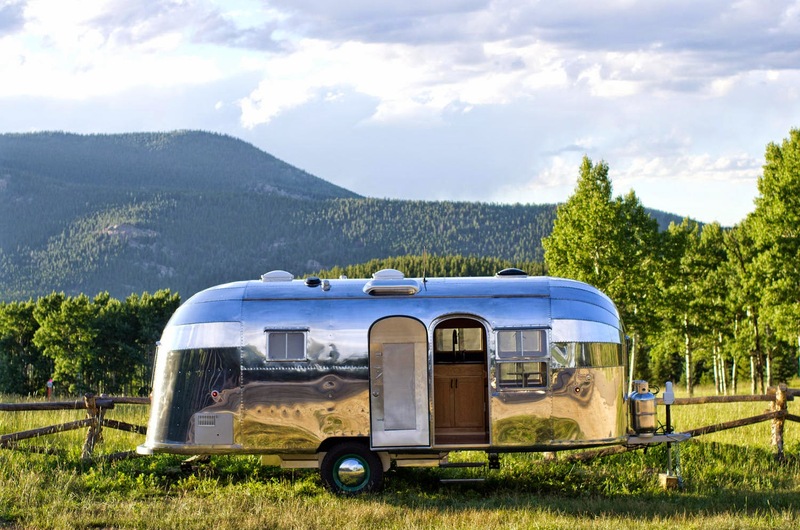 Do you think you could live in an Airstream trailer or a tiny home? Have you lived in one before? How small is too small? Where will I put my KitchenAid mixer? (F and M, I know you have and don't worry - I'll be emailing you a thousand questions when the time comes!) In the meantime I'll keep pinning my heart out and slowly paying off debt.